Popular Condo. Reserve now for Summer 2019! Very, very clean 1 bedroom condo. Recently remodeled kitchen and bathroom. Welcome to Maui Vista, centrally located in Kihei and directly across from Charlie Young Beach; one of the best beaches in Maui. Maui Vista has three buildings. Our condo is in the second building on the second floor. The condo is recently updated with tile floors, quartz counter tops, all new Samsung kitchen appliances, Bosch washer and Dryer, tile enclosed shower and complete with all the amenities of home. Most of the condo has new paint and new light fixtures as well. In addition the condo is fully furnished, has two air conditioners, a private lanai and free parking for the guests. The condo comfortably sleeps up to four people with a queen size bed and a sofa sleeper. The sofa sleeper is brand new and comes with an extra thick mattress. Maui vista has three pools, barbecue areas and six tennis courts. This is a popular condominium surrounded by several swimmable sandy beaches which children will love. We have everything you need to enjoy a day at the beach; beach towels, and chairs, boogie board, umbrella and an ice chest for your cold drinks. Within walking distance is great shopping; experience local food and novelty shops. For the golf lover there are four courses within close proximity to Maui Vista. Also remember to enjoy the beautiful sunsets from charlie young beach. We are two professional educators that live north of Seattle. 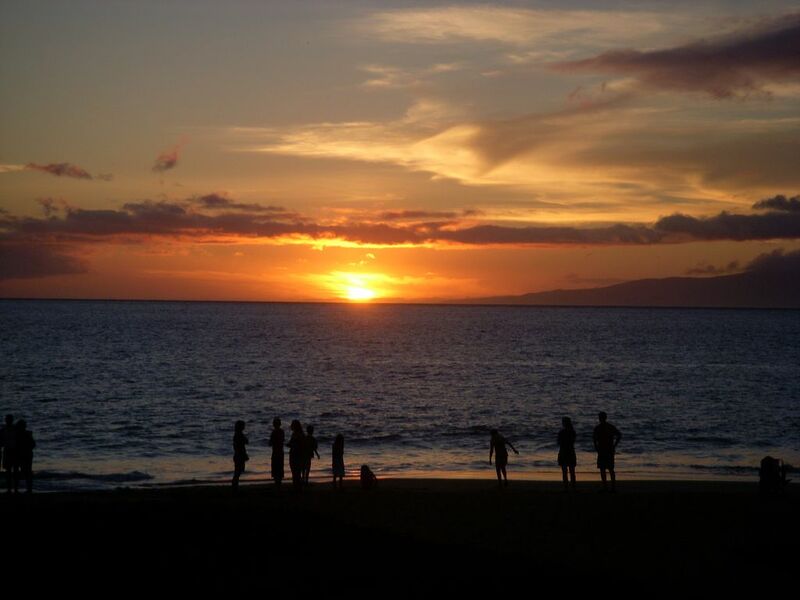 We visit Maui every year and fell in love with Maui Vista, the Kihei area and Charlie Young Beach. We are excited about our recent condo purchase and being able to share it with our family and friends. We purchased our condo at Maui Vista in South Kihei because of the beautiful beaches, full days of sunshine and the cleanliness of the resort. Enjoy the three swimming pools, the tennis courts and barbecue areas. We stayed at Maui Vista several times before purchasing our own condo. It is centrally located in Kihei, close to several swimmable sandy beaches, snorkeling, the ' Cove Park', excellent eateries, and local novelty shops. Maui Vista offers free parking, has three pools and immaculate grounds. Bathroom remodeled November 2014. Beautiful tiled walk in shower. Brand new linens and hair dryer provided. Two units, one in bedroom and other in living room. Condo also has a ceiling fan. Three pools located on the grounds. Enjoyed a return visit to Tina and Buck Evans condo at the Maui Vista. They continue to improve and upgrade the condo. We appreciate the quiet cool side of the building and would recommend their place for anyone wanting a clean, comfortable pleasurable stay on Maui. The Maui Vista is right across from one of the best swimming and snorkeling beaches. Also if you enjoy long beach walks you can walk the beach path from Charlie Young beach all the way to the Grange Wiallia hotel. Its a ten minute walk to Foodland for groceries, you can get away without having to rent a car as restaurants and grocery stores, or shops with everything are wih in walking distance. Beautiful Landscape...condo was very cozy... We would stay here again...close to everything!!! Had a great time! We loved that the beach was just across the street. Food and shopping close by. The condo was in a good location. It was clean with everything we needed. We enjoyed swimming during the sunset and then walking to dinner afterwards. We thought the bed was a bit too soft for us, but otherwise it was great. Well appointed unit in great central location. A/C in bedroom could use improvement. We enjoyed our one week stay here. It was centrally located for the various things we wanted to explore in Maui. The complex is right across from Charlie Young beach, which has soft sand, is kid-friendly, and great for snorkeling where you're very likely to see turtles. You've got a Foodland right down the street for groceries and the best poke deal in town, which we ate for lunch almost daily. There's also many great restaurants within walking distance that we enjoyed. The unit is well appointed with all the essentials. The only thing we didn't like is that the a/c is on a one hour timer. This wasn't problematic in the living room, but in the bedroom you have to wake up throughout the night to turn it back on again once the room got too warm. I get that the timer is in the interest of conserving energy, however, waking up throughout the night to turn on the a/c was highly disruptive to our sleeping. That being said, there is a fan in the closet to help keep you cool throughout the night after the a/c shuts off. All in all, I'd say we had a good experience here and would consider returning in the future. This place is a perfect condo for a Maui getaway. It's clean, stylish, tastefully decorated and has everything you need to enjoy your stay including beach gear like chairs, umbrella, boogie boards and two sets of snorkel gear. The bed is comfy and the place has ac but I just used the fans and found it cool enough sleeping. This place is within walking distance to everything including my favorite, Charlie Young Beach. All in all I would definitely stay here again. We have been back to this unit for several years and the owners continue to upgrade with the best of appliances and changes, well equipped with beach and sports equipment. Clean welcoming ambiance where you do not have to use the AC to stay cool all day. We would recommend this unit for short or long stays. Lots to do close by. Beach is across the road, 15 minute walk to Foodland for groceries, beach parks only steps away. We really had a very relaxing holiday. Several white sandy beaches, restaurants, whale watching, island excursions, shaved ice, paddle boarding and surfing within walking distance.